Elliottwave-Forecast is prided in clear, actionable, up-to-date forecasting services. We strive to educate and direct our Subscribers using our knowledge of a very specific set of analytical tools and methodology which includes Elliott wave, Market correlation, Swing sequence, pivots and distribution system. Our analysts provide clear timely updated communication and guidance through Chat Room so our Subscribers are never “left in the dark” when risking their precious capital. Our approach is extremely conservative in nature. We view a life dedicated to trading the market as a marathon not a sprint. 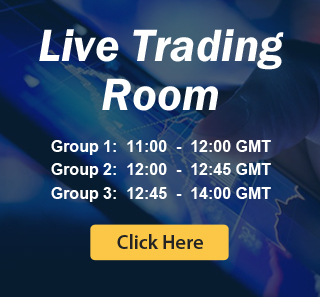 We also offer Trading Signals to our members through our Live Trading Rooms. Still not convinced, sign up for 14 day Trial and see for yourself. How many instruments you cover? We cover 78 instruments which are divided in three groups. Covered instruments consist of Forex, Commodities, Indices, ZN (10 Year T-note) and Individual Stocks. Will you be adding more instruments to the service? We might be adding more instruments to the service in the future which may or may not be part of existing subscriptions. What services do I get with each Subscription Plan? See Subscriptions page here. If a service is not included in your plan, you can either upgrade or Add-on. Trial Plan gives you access to Gold plan with Live Trading Room for 26 instruments of your choice. Can I cancel the Trial / Subscription if I feel service is not suitable for me? Yes, you can cancel the Trial / Subscription by cancelling recurring Paypal payments. I like your service but I want to switch to a different plan after the Trial. How can I do this? I am subscribed to Group 1, can I add Group 2 or Group 3 to my subscription? Yes, you can do that through the add on menu in members area. Can I cancel the Trail if I feel service is not suitable for me? Yes, you can cancel the trial by cancelling recurring Paypal payments. Please send your cancellation request to support@elliottwave-forecast.com with your user ID at least 24 hours before the end of your trial / subscription. Please CHAT NOW to a representative.